And what have we here? 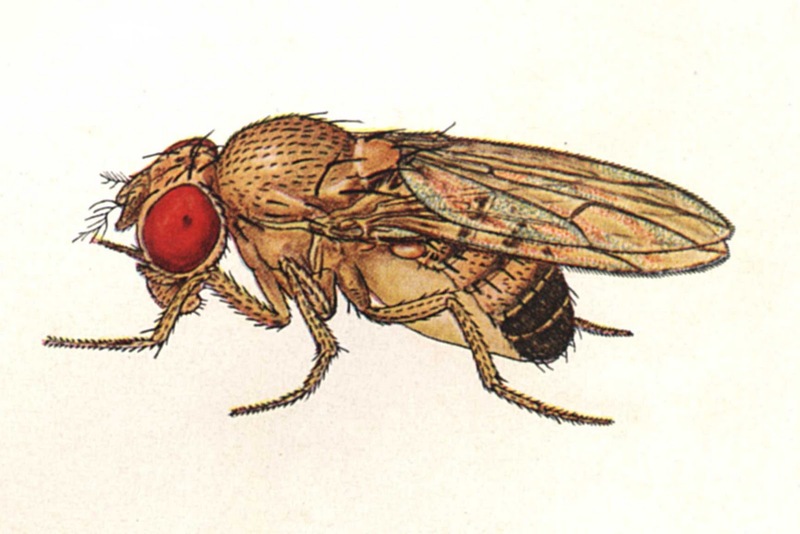 The most noble of small insects, the fruit fly Drosophila melanogaster. 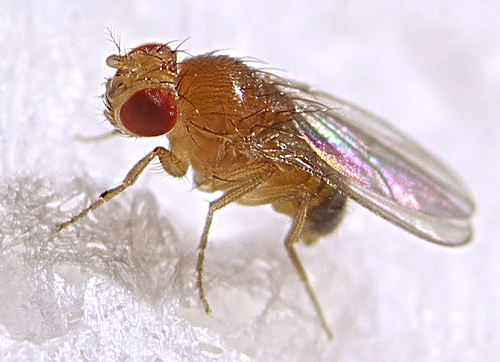 Sure, there are over 4, 500 species of "fruit fly," but this one in particular has arguably contributed to our understanding of genetics more than any other critter yet. How you may ask? 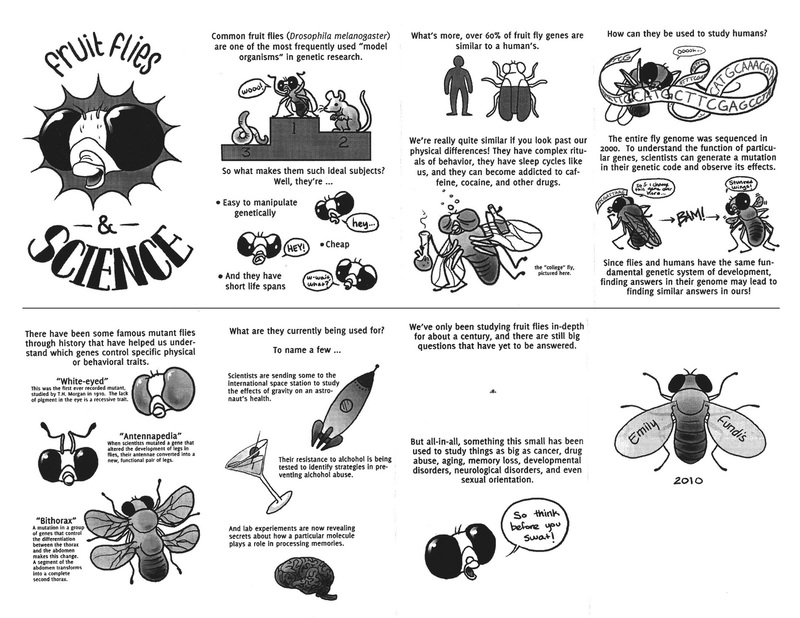 Well, well, this new zine called simply Fruit Flies & Science by Emily Fundis is the best short introduction I've ever come across. you could even say it is creating a "buzz." If give an overview of the What and Why of this common and tiny fly and its role in over 100 years of science. Because Evolution by Common Descent unifies all of life (thanks for pointing this out, Charles Darwin), studying the genetics of an insect of even a plant or yeast can in fact reveal much about the biology of creatures like ourselves. You have to respect these model organisms of biological research. Now, you may say the after watching the movie "The Fly" you understand the whole matter, but I urge you to look a little deeper past such science-fiction. Plus that is NOT a fruit fly, but rather the common house fly Musca domestica. Isabella Rossellini gives some fascinating insight into those flies here. 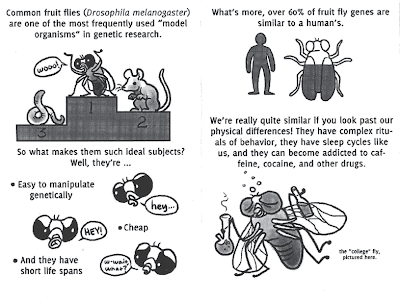 For an additional general overview of fruit flies in biology, check out this nice visual explanation, or explore some of the more famous mutants flies that are used in genetics. For the real detailed nitty-gritty that professionals get into, check out Flybase. Remember what they say: "Time flies like an arrow, fruit flies like a banana!" That fruitfly 'zine is excellent. Well done. 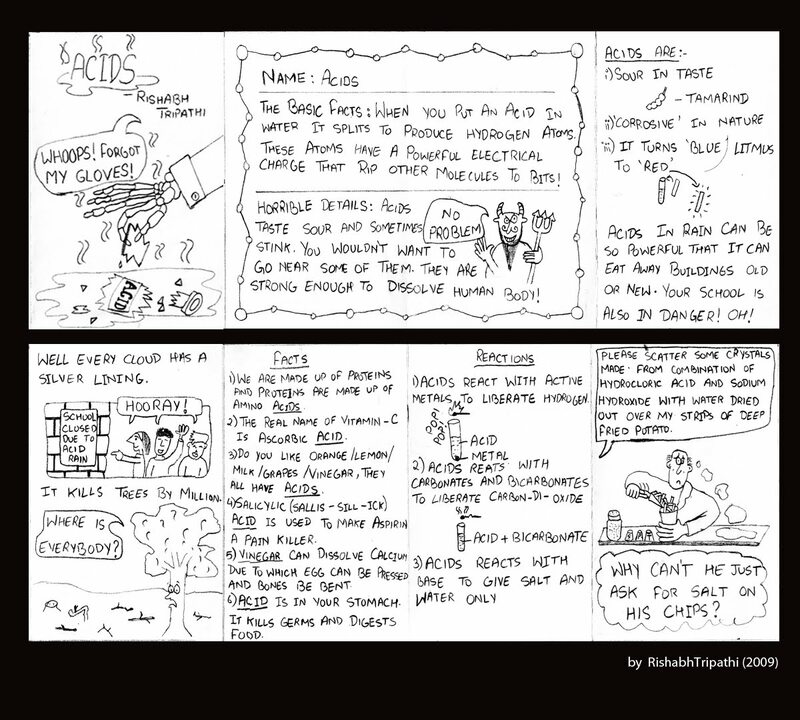 A collaboration of scientists, artists, students, and anyone else interested in science, this project produces small zines and web comics on a variety of topics . Read online, download zines, and share your ideas here. Thinking of contributing your own zine? 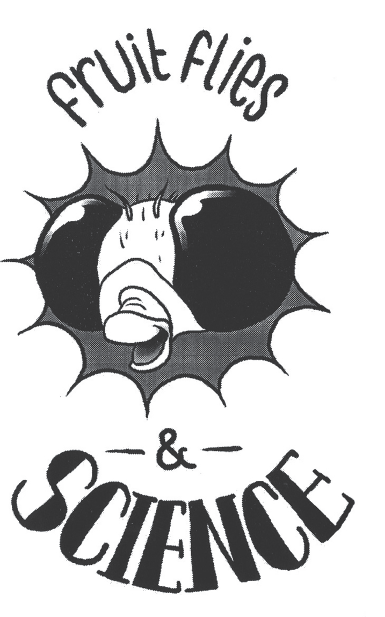 Email us at smallsciencezines (at) gmail (dot) com. 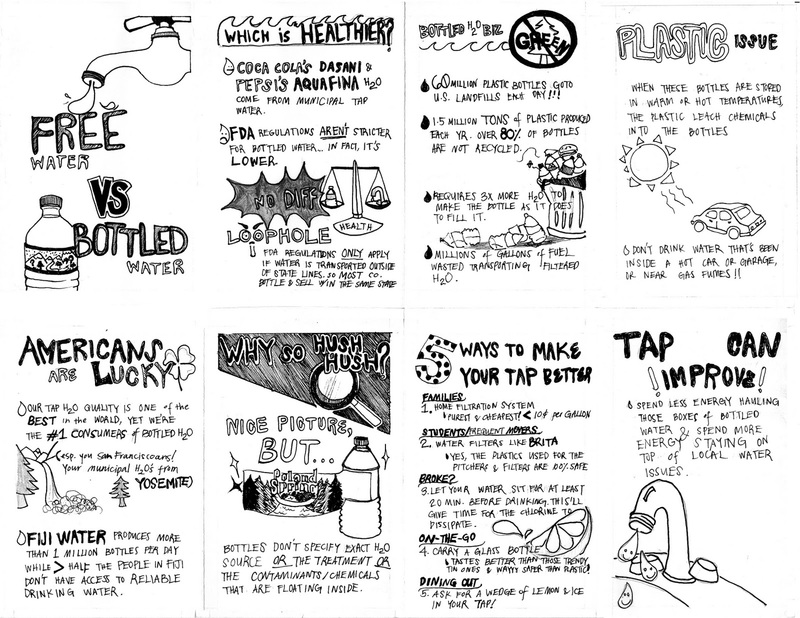 Click on images in the individual posts below to read the web comics or download the templates for printable & foldable zines. 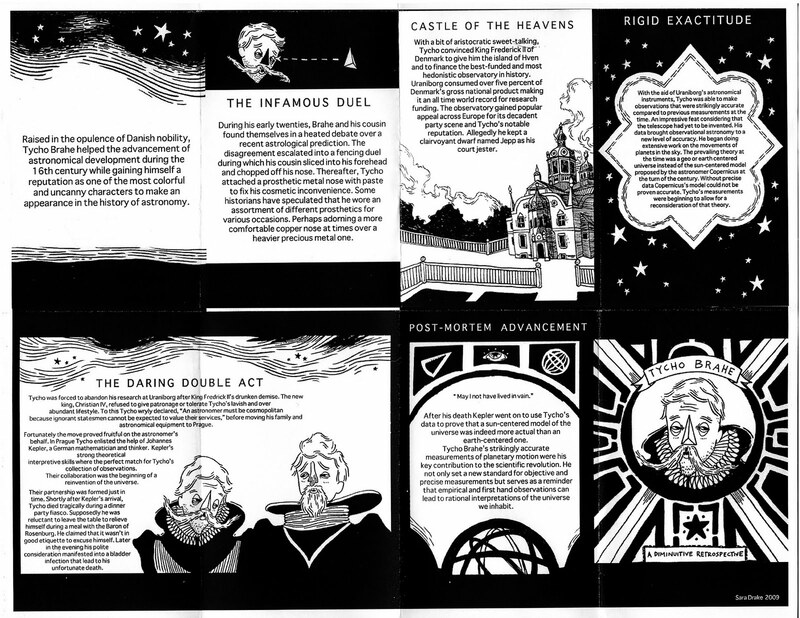 Here are some zine-folding directions for one of the more popular formats used. 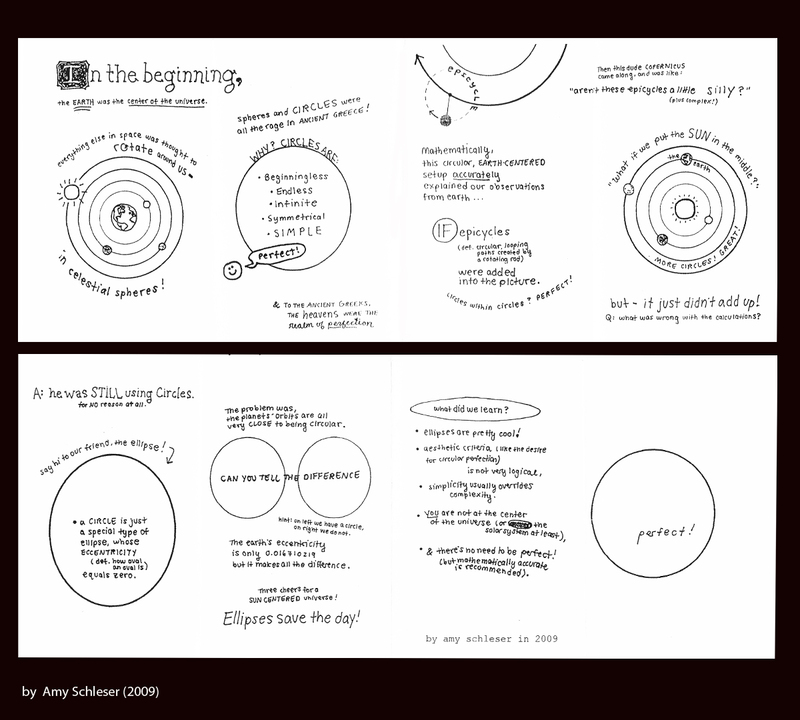 Small Science zines by the Small Science Collective is licensed under a Creative Commons Attribution-Noncommercial-No Derivative Works 3.0 United States License. 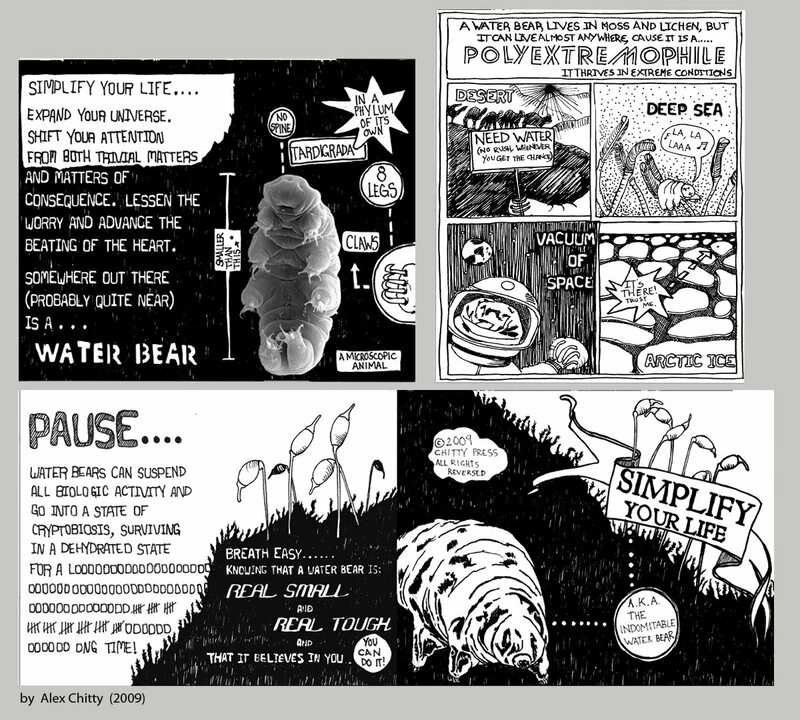 Based on a work at smallsciencezines.blogspot.com. Whose Knowledge is Scientific Knowledge? Many say science is one of the most democratic forms of knowledge. At the same time, the gap between scientists and the public only seems to be widening. While the privatization and patenting of scientific knowledge increases rapidly, general scientific literacy lags woefully behind. As easy as it is to feel like science is obscure, too difficult, and perhaps even a little boring, shrugging-off its importance in our daily lives means letting others do all of the thinking, leaving everyone else to simply be consumers of the knowledge scientists & engineers produce - as education, entertainment, and technological tools & toys. What personal role can each of us play in sharing curiosity about the natural world and the ways we come to know it? 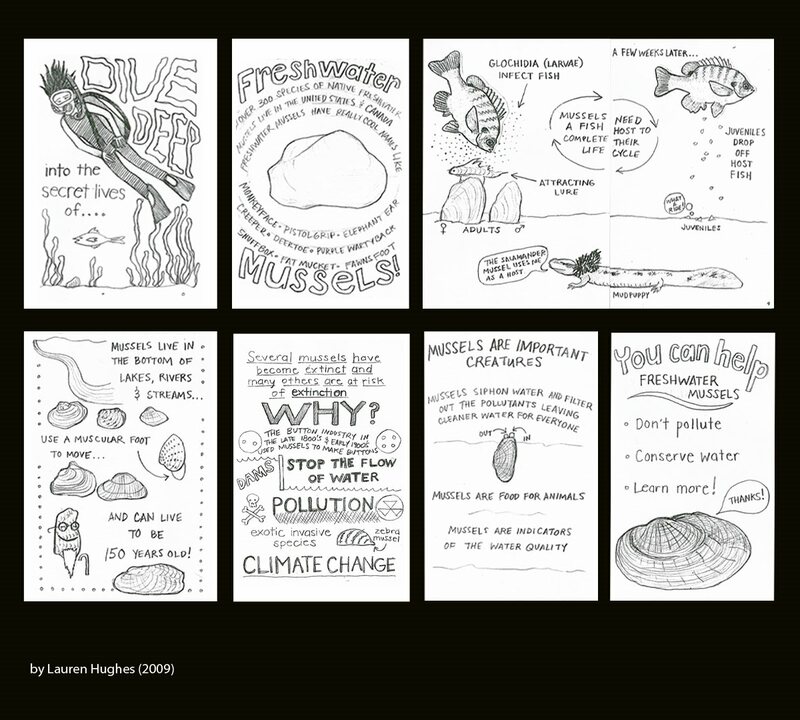 The goal of the Small Science Collective is to get everyone thinking about science through handy and inexpensive one page mini-zines. Our contributions come from researchers, students, artists, and seriously curious folk who want to share their love of nature – from gluons to gastropods – with fidelity and creativity. Our zines and pamphlets are distributed in subways, benches, coffee shops, and any place someone might least expect them. Perhaps catching the attention of strangers who didn’t know they wanted to know more about ants, galaxies, or genes but are glad they got the unexpected chance. Print them, read them, share them. Leave them somewhere random for some stranger to pick up. The science is everyone's to share. 4:::: Featured in the Coalition on the Public Understanding of Science (COPUS) and newsletter, the Clarion. 5:::: An interview article about SSC in Concordia University's The Link. And the PDF.